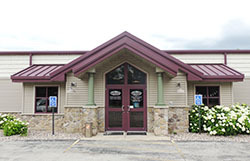 With Christmas behind us, we're looking forward toward the new year. 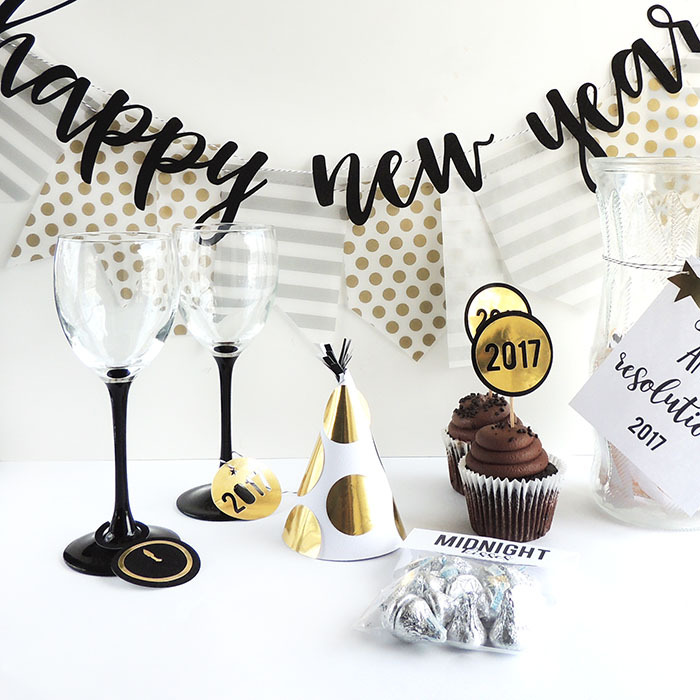 We can't wait to gather with friends and family and ring in 2017. How are you celebrating? 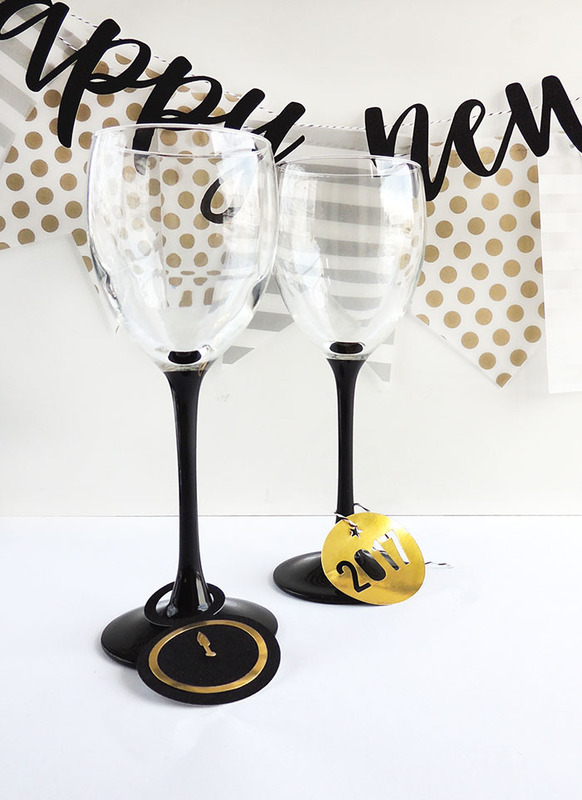 Today, Nicole is sharing some last minute DIY party ideas that will liven up your evening, whether you're celebrating as a party of 20 or just 2. No party is complete without a banner or two. I cut different sized strips of 12x12 printed, metallic vellum. Some strips were left plain, while I cut fishtails into others. With the help of a basic hole punch and baker's twine, the vellum was hung on the wall bellow three gorgeous, glitter words. The words were welded together using Silhouette software, one of my favorite features, and cut from American Crafts POW Glitter Paper with the Cameo. I used tape to attach the words to baker's twine instead of punching holes. POW Glitter Paper is perfect for party decor projects since the glitter is fused to the paper and will not end up on you or your guests. 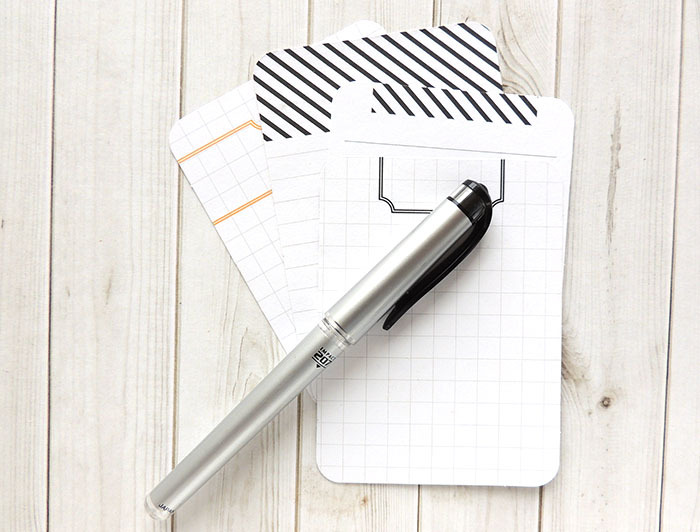 Invite guests to write down a goal, resolution, or wish for the new year. Guests can read their plan out loud, toss them into the bowl, or hang onto them. 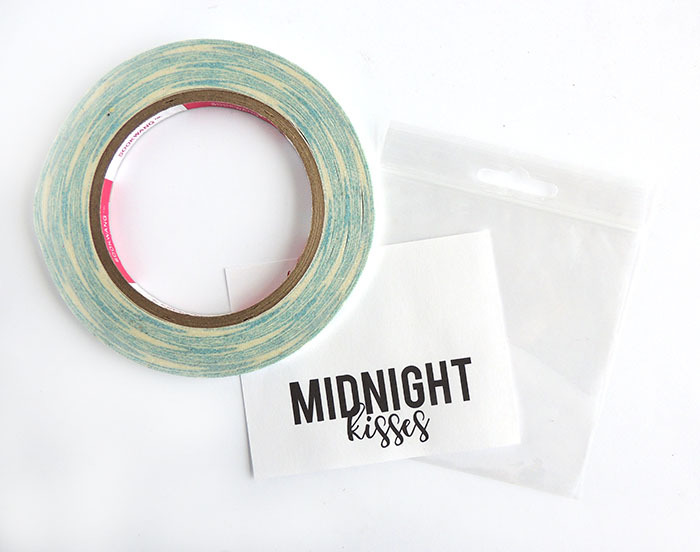 I gathered together 3x4 journaling cards from my favorite Project Life Core Kit, Midnight. They can be slipped into 12x12 pocket pages after the party ends. Every party needs food. 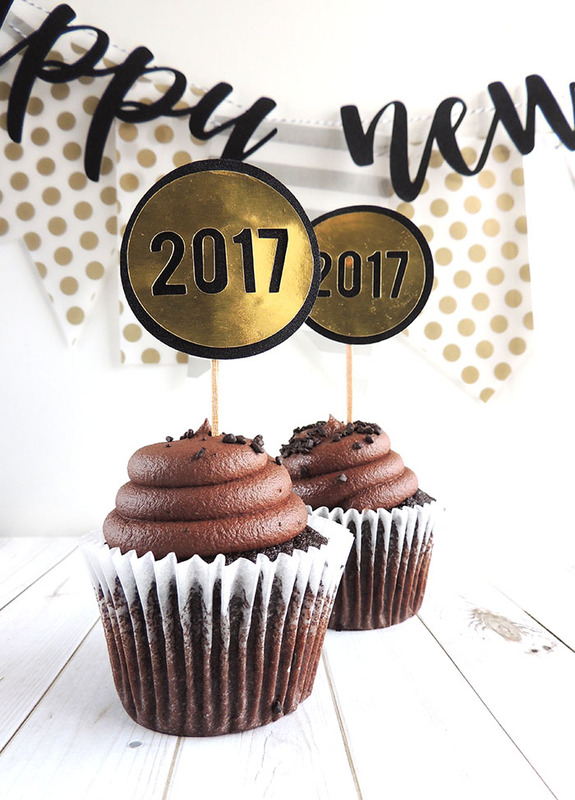 Add a bit of glitz and glam to your snacks with these easy to create toppers. 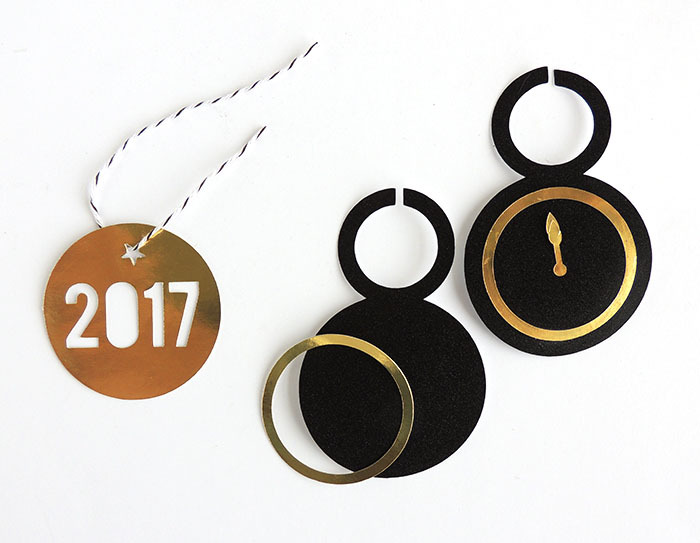 I used the Silhouette Cameo to cut circles from black glitter paper and gold sticker paper. I used the same papers to create wine labels and decorate white party hats. 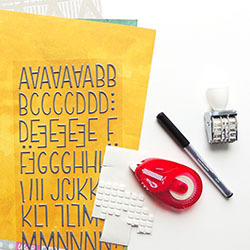 The sticker paper, a new arrival to the shop, cuts like butter and attached to the paper with ease. This was a time saver when it came to adhering the small clock hands. 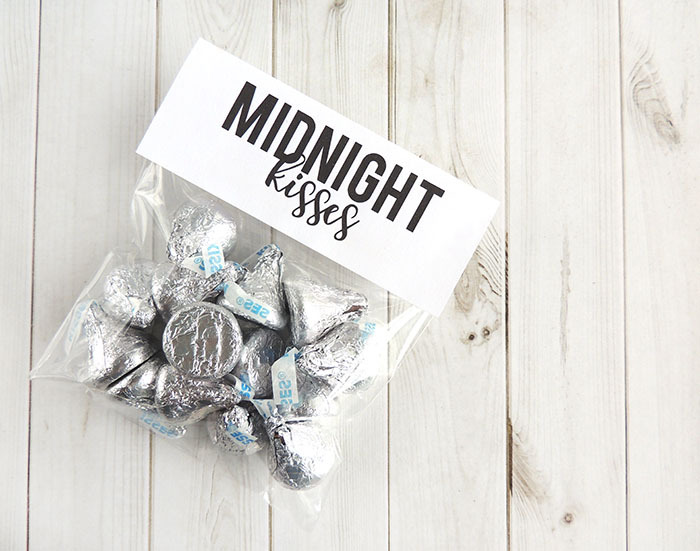 To end the evening, hand out midnight kisses as a favor. You may find a great deal on candy and chocolates with after-Christmas sales, which makes this DIY even harder to resist. 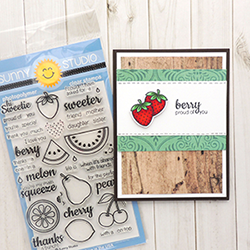 To create these favors, I grabbed a few 4x4 favor bags from the shop and Scor-Tape. After printing the title on cardstock, I added tape to the backside and folded it over the top of the favor bag. Scor-Tape is a permanent bond. 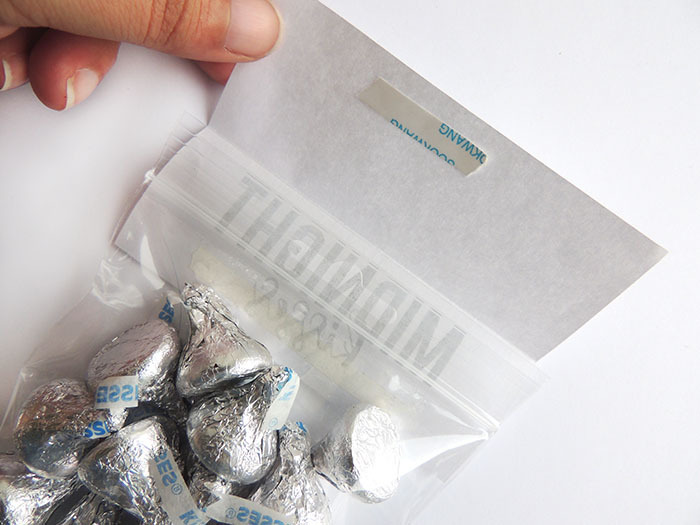 No need to worry if guests pick the favor up by the paper - It will be secure! Stop by the shop to see all of these ideas and more up close. 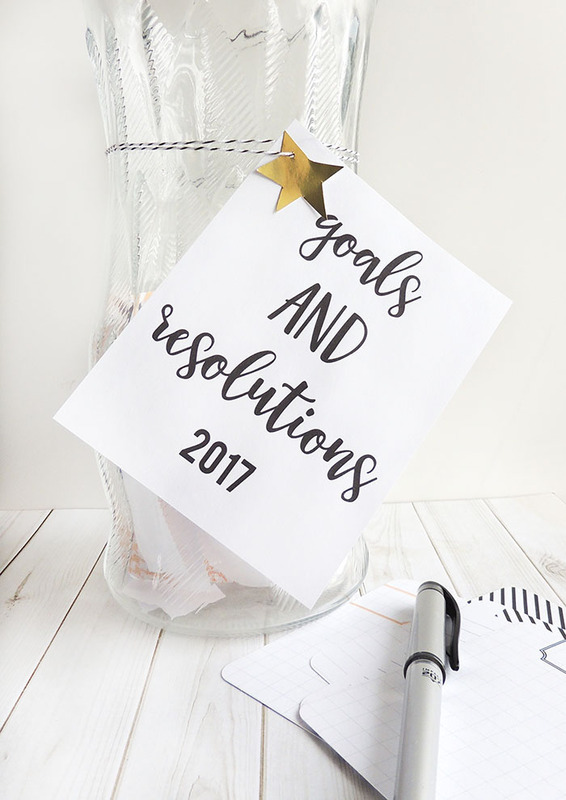 I hope you've found a few ideas to add to your own celebration and can't wait to see what you create. 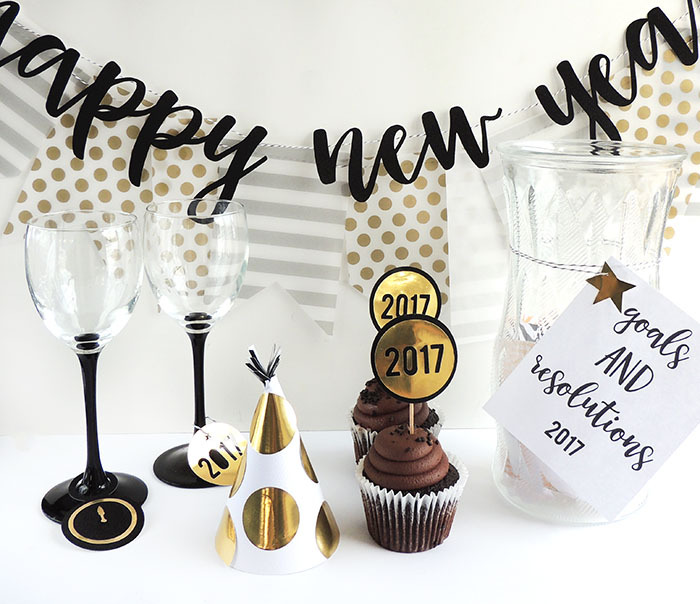 From all of us at Creations Galore, have a safe and happy new year!